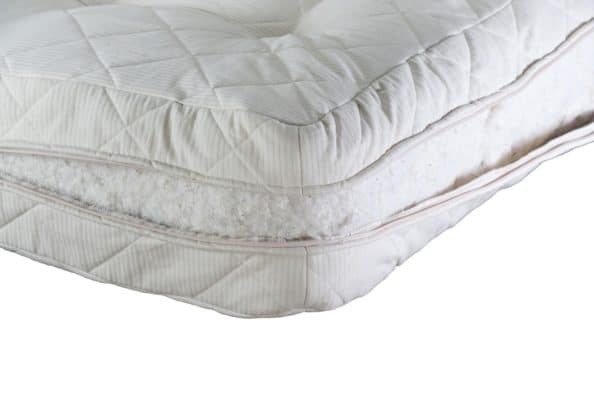 Cottonsafe® Bed Mattress where pocket spring technology meets chemical free research. The past few years has seen increased demand for more information and specialist products from people wanting a more natural lifestyle. The modern world is stressful and loaded with anxieties, so factoring in a routine for restorative comfy sleep becomes essential. Cottonsafe® is a breakthrough textile made in South West England by people dedicated to the ethos of chemical free. Cottonsafe® fabric passes the highest levels of the stringent UK fire retardant laws. It does this by using the finest organic cotton, lamb’s wool, felt and flax thread.. .
Cotton is a crop susceptible to failing so to source only organic cotton does in all honesty give kudos. There’s only natural and by the same token chemical free materials used in the various processes we use. So you can feel safe and rest/sleep comfortably in the knowledge that no humans have had to handle perilous compounds. Therefore no insects or bugs killed to make a fabric a tad more white. 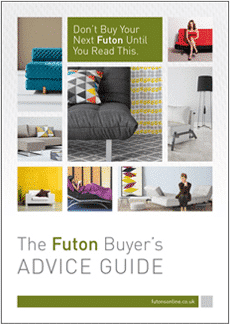 All the bed and futon mattresses we sell have conformed to independent testing. They pass the highest fire certification demanded in UK law. 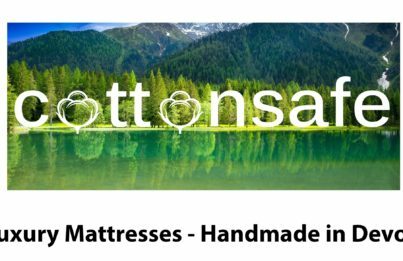 Cottonsafe® Bed Mattress is a trademarked fabric with a patent pending that’s naturally fire-retardant. There.s no chemical coatings, sprays or additional treatments that can compromise health used inside or outside of this natural textile.. Whenever Cottonsafe® is used by our mattress makers you’ll know it’s a hand finished product adhering to the highest standards. This will help answer the question Can You Sleep Your Way to Better Health.